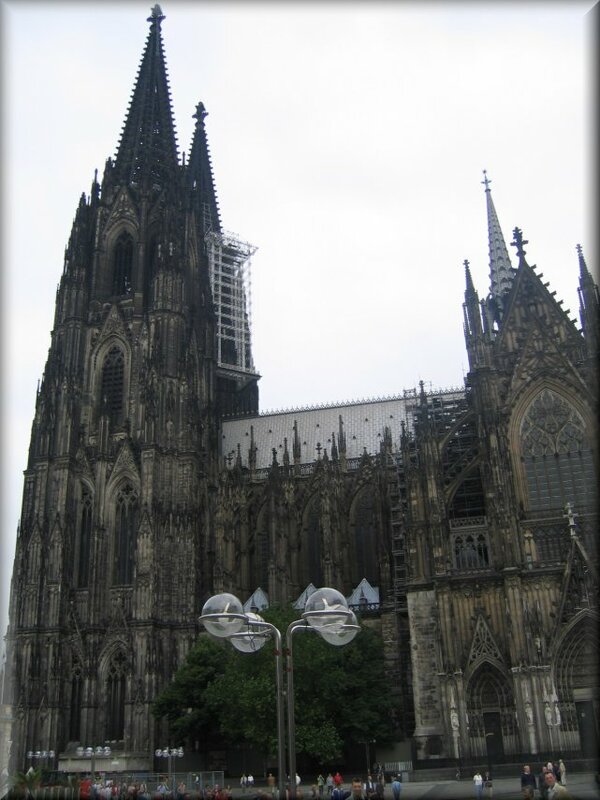 I traveled to Cologne, Germany in July 2003 to attend one of the World's largest baby product manufacturer's trade shows. My baby show just happened to coincide with Europe's largest gay pride celebration with more than one million people in attendance. 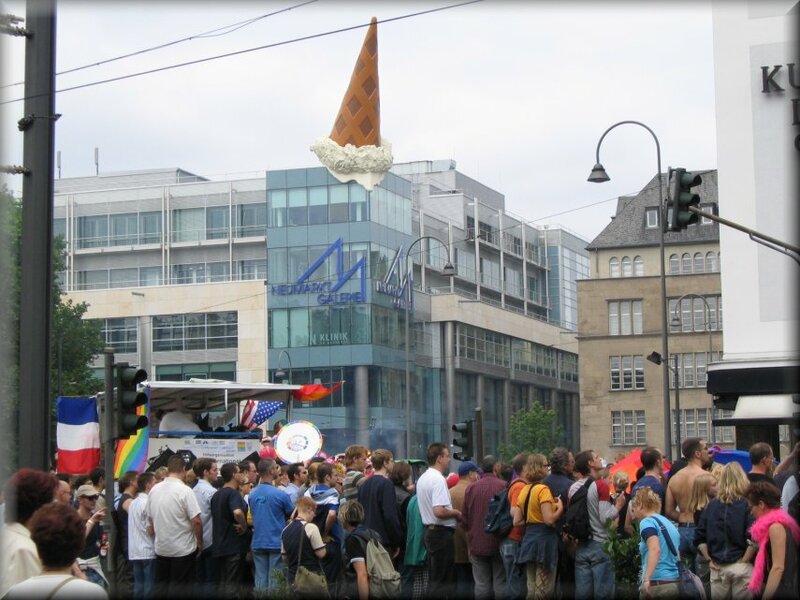 I was surprised to find that the mayor of Berlin was the parade's grand marshall and happened to be openly gay. Definitely some interesting observances were to be had in the streets of Cologne this week. You would think that given this kind of simultaneous events in my vicintiy that I woud be having fun, fun, fun. But on this trip it was not to be. First off I was reeling from love sickness knowing Johnny and I would have to break up. Second, I was in germany at a time when there was a lot of anti-American sentiment eminating from the general public because the U.S. had gone to war in Iraq a few short months earlier. I was not exactly treated friendly when I was out and about and nobody wanted to talk to me, or even debate me. I simply got the cold shoulder on my visit. Needless to say I did not have a great time while in Germany and would be very hesistant to go back any time soon. I would at least wait until we have a better leader running our country that may have restored any respect we as Americans had before GW. But, on the positive side, I was well taken care of by my German colleagues and was turned on to some great company, great beer and great food while on my stay. My colleagues also took me to their factory in a small town about an hour-and-half drive down the Audobon. It was the absolute cleanest factory I had ever seen, definitely food grade. They worked for a division of Nestle, called Bubchen (small boy) that made infant cosmetic products. Anyway, those people were the highlight of this trip and really the only highlight. I did not even enjoy the baby show because I was so caught up in my relationship having to end. Ultimately I cut my trip short (including seven other European cities) and flew back home to finish the job. I know, the least fun trip of my life. I did not even get a lot of pictures, likely because my heart was not in it. But here are the few that I did take of the Pride Parade.